CRS- The World's Largest Supplier of Container Rotation Equipment. April 2019 - CRS Coal System up and running. The Port of Ulst Luga had a contract to load over 3 million tonnes of Coal per year with potential to increase these quantities over the coming years. 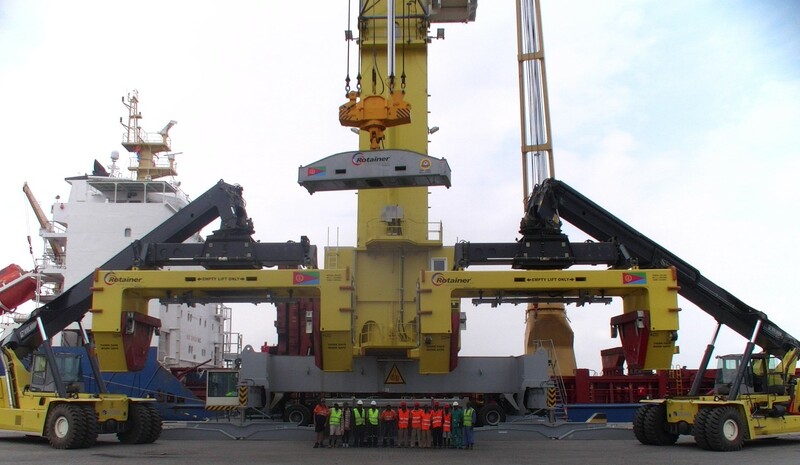 Having 4 Kone ship to shore cranes, CRS designed an innovative rotating head frame that will allow N-S-E-W rotation of the Rotainer to allow better loading and trimming of the ship. A fleet of our heave duty 'Coaltainers®' was included as part of the total package. April 2019 - CRS Receives Order from Lithuania. 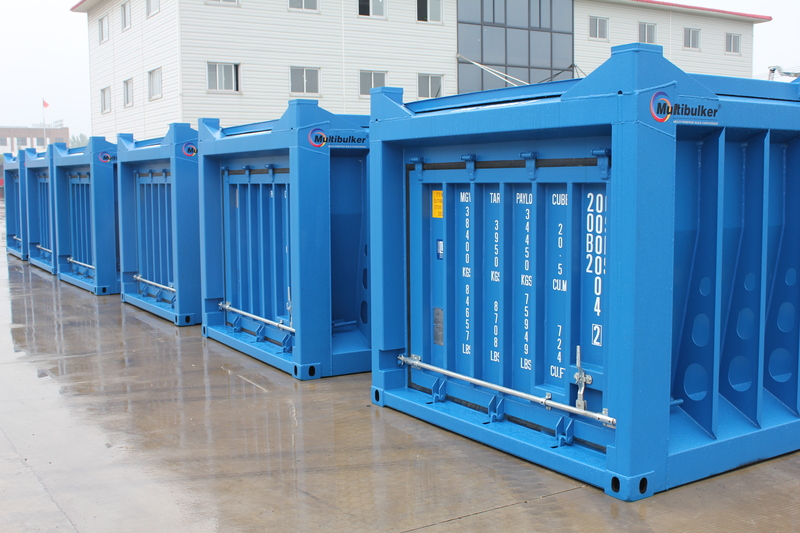 CRS is proud to have received an order for our 2900mm 'High Cube' container system for Klaipeda Port, Lithuania. Rotianer Eurospec 38's will be connect to a Liebherr Mobile Harbour Crane for this particular application. A fleet of our specially designed, 2900mm Rotorcon, heavy duty container will be part of the package. The client will load an array of different product such a grains, fertilisers and scrap metals. CRS is proud to extend it product portfolio in the Baltic Region. 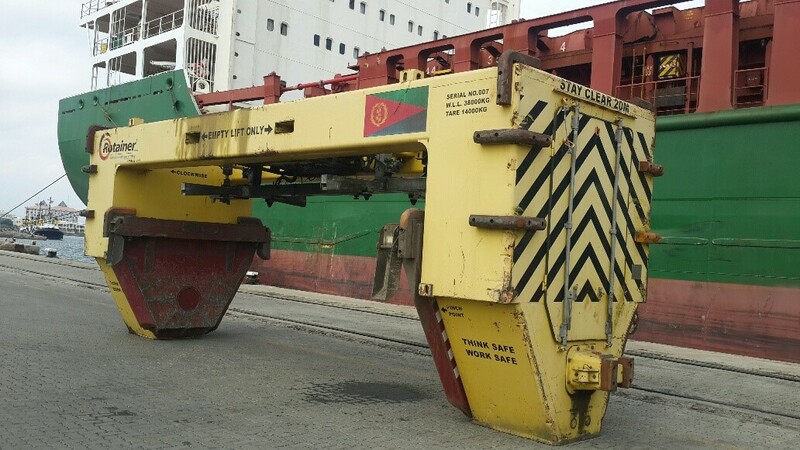 Bisha Mining Eritrea, has placed an order for another Rotainer H.D (Heavy Duty) for their loading operation in the Port of Massawa. Their current units have been so successful with over 40,000 loaded rotations clocked on each Rotainer. Mine life has been extended for at least another 5 years and whilst continuing to operate the current units to end of mine life, a 3rd unit will be added to the fleet to maintain full productivity during maintenance periods. The units will have our super reliable 360 degree rotation system but the new unit will have our upgraded lid lifting system. CRS is pleased to announce that its newly developed, automated lid locking system has been ordered by an Australian Minerals processing plant for 850 units of their 1450mm half height containers. These kits where developed by the CRS team to make generic type open top container suitable for rotation where rotation and secure lid locking is a must. 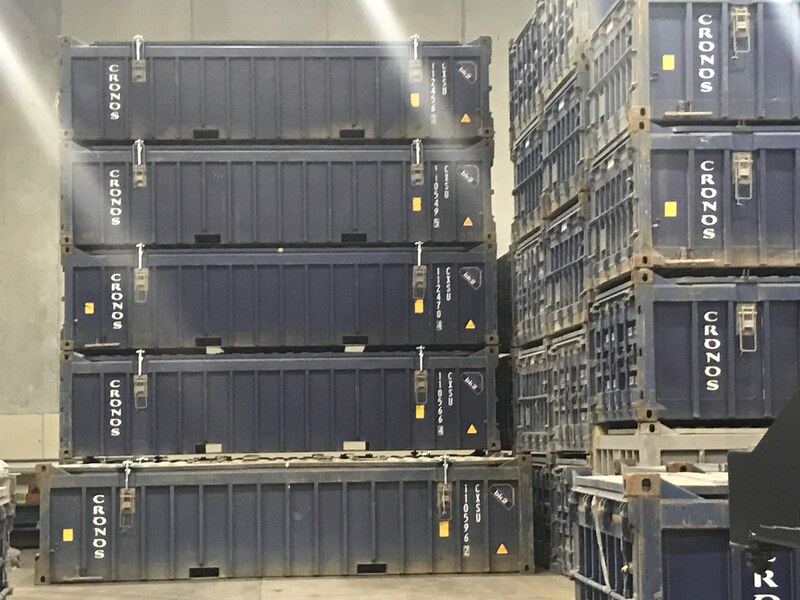 It also assist site logistics by allowing several container lids to be stacked up to 10 high for storage when not in use. These kit easily fits Seaco, Caru, ISG-Pit to Ship, CMIC as well as many other brands of containers. CRS is pleased to announce that after significant R & D we are able to release to the global market a 40ft rotating container system. This new container and Rotainer is purposely designed to cater for industries such as Wood Chip, Bio Mass, Gains and Waste. 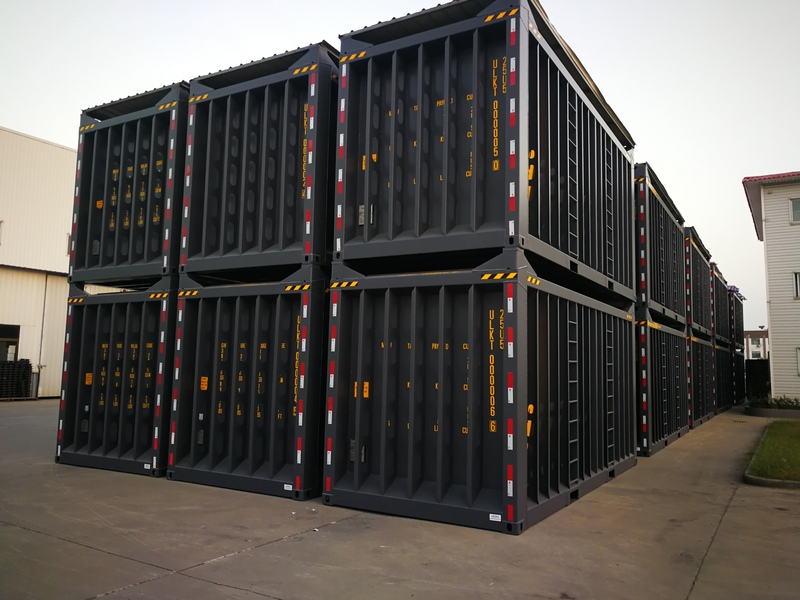 The unique ground up approach with the Patented Design of the Rotorcon container has enabled us to offer to our clients a 2900mm high - 40ft long, fully certified open top container. 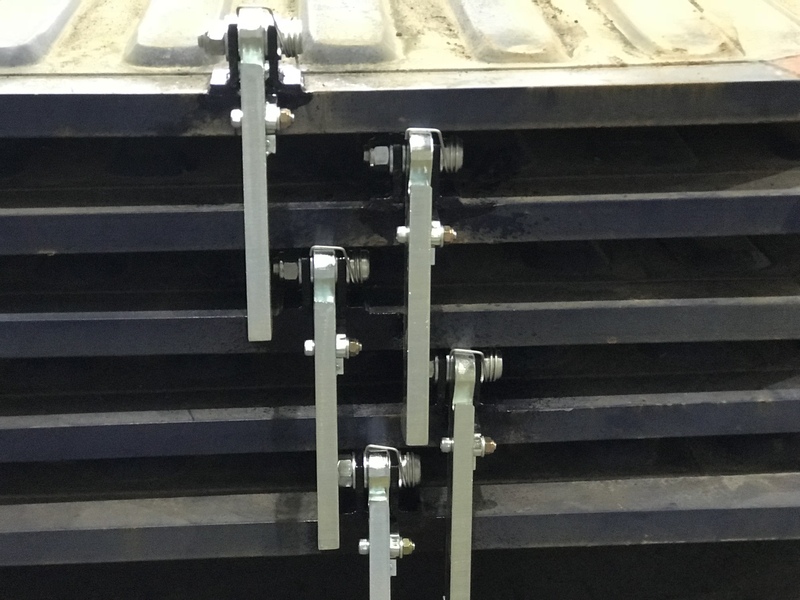 No cumbersome internal bracing required, suitable for use with 180 and 360 degree container rotators. The 40ft Rotorcon is perfectly mated to our Rotainer Europsec 32's & 38's. January 2019 - Latest Product Brochure Released. 2019 marks a milestone for the CRS team! 10 years has elapsed since we lodge our initial I.P for the designs and patents on our Rotators and Container Systems. First to offer 360 degree Rotation, First to offer automated lid lifting, First to offer fully sealed single beam ttechnology, First to offer 'Tiltainer' 90 degree container discharge systems, just to name a few of our innovative container handling solutions. Time and Time again, we have met our client needs by designing several highly productive and cost effective Container Rotators. We have expanded from our initial footprint in Australia to several Counties around the World which arguably make CRS the global leader in complete Container Rotating Solutions. With order books already filling for 2019, we look forward to a busy year whilst working with our exiting customers for continued support and welcoming new customers with future opportunities. 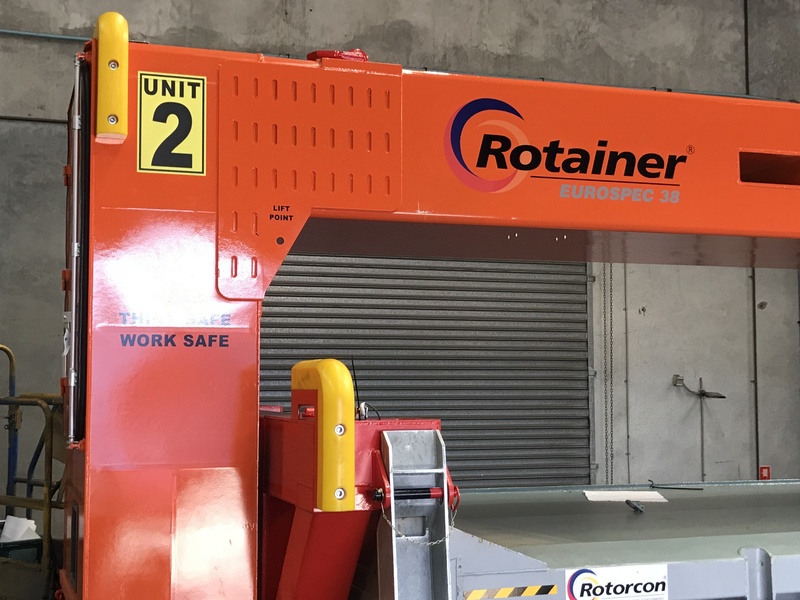 Another Milestone for CRS with the Global release of our Rotainer Eurospec 38RS. 38000kg Gross Capacity suitable for any Reach Stacker, with or without lid lifting. CRS are very exited about this release as it completes our container rotators for our Reach Stacker Portfolio. We now offer 32T and 38T container rotators that cater from 1450mm Half Heights right through to 2900mm Bulkers, with or without automated lid lifting. 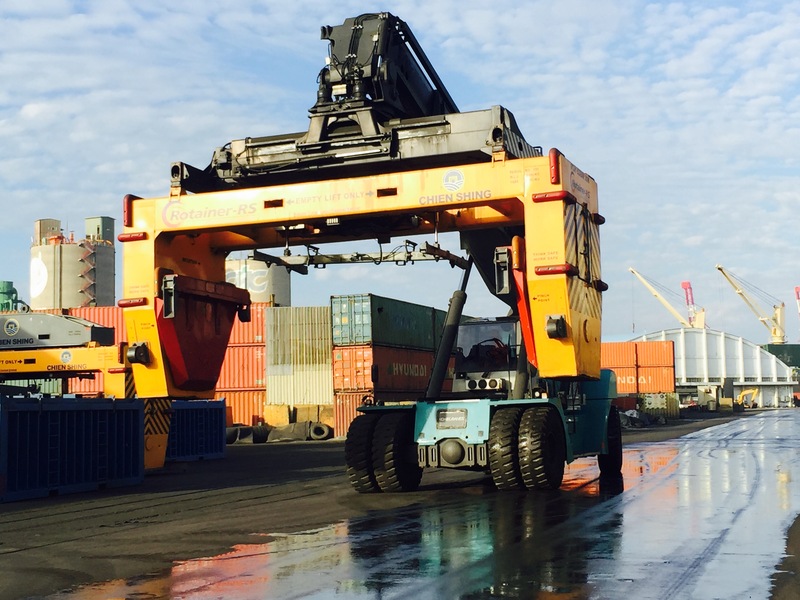 Transition from normal container handling to container rotation in seconds. Being a 'stand alone' system, powered by a small Diesel Engine with remote control negates the complexity of interfacing with the hydraulics and electrics of sophisticated, late model Reach Stackers - a maintenance plus! Utilising CRS's single beam technology with our Patented drive system makes this the simplest drive system on the market. Our 180 degree rotation system, based on F.E.L (Front End Loader Technology) whereby, the load is always discharged away from the operators cabin ensuring no product ever comes in contact with the operators environment, making our system, the safest in the World, furthermore, by removing the vortex flow of the surrounding air caused by 360 degree rotation dramatically reduces dust and associated pollution. November 2018 - Bisha Mining 55,000 Loaded Rotations = 1.75Mill Tonnes Shipped. Late 2013 CRS Commissioned a complete copper concentrate handling system at Massawa Port, Eritrea for Bisha Mining. Bisha Share Mining Company required a 'turn key' installation for the storage, transport and loading of copper concentrate. The CRS team also complete the road transport assessment which required a total fleet of 200 trucks and container trailers especially specified for the 350km trip from the mine to the port. 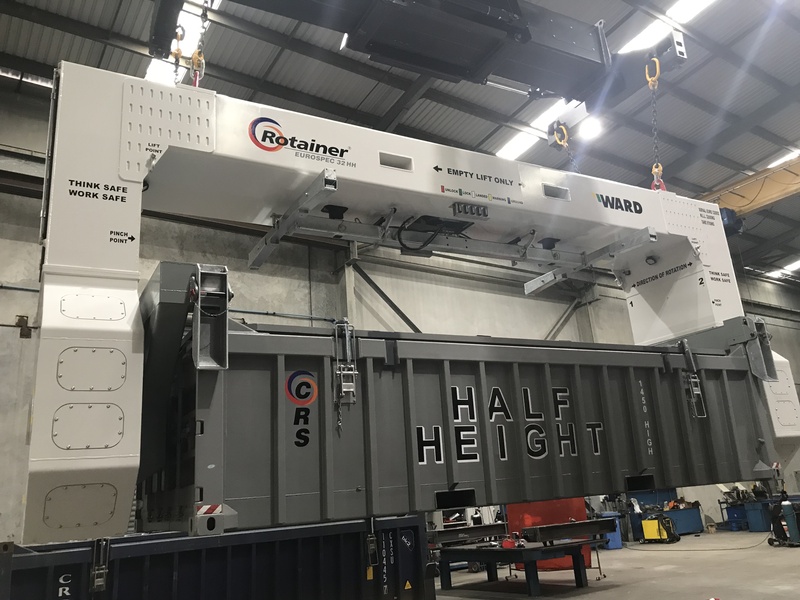 A recent review of the integrity of our Rotainer H.D, CRS's signature machine, will see these units continue to operate for another 5 year without major component overhauls, a testament to the strength and quality of CRS systems. 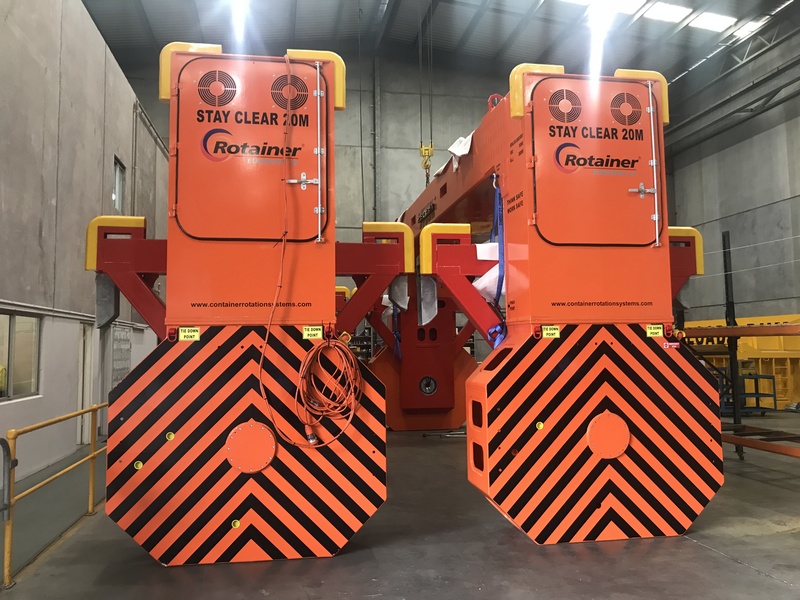 Another challenging task successfully completed by Container Rotation Systems Pty Ltd.
A complete Rotainer® installation will be up and operating in Townsville, Q2 2019. CRS are pleased with this order as it will involve another new model, the Rotainer® Eurospec38 for 1450mm & 1800mm high containers. Further Press Releases to come soon. November 2018 - CRS's Underground System an Award Winning Success. Stage 3 of the underground works of Australia's most prestigious construction project, the new 'Crown Casino' was completed at the end of October 2018. CRS supplied the solution for safe and efficient removal of highly contaminated waste for the basement level diggings of the new Casino Structure. Lend Lease, the builders of the large part of the Barangaroo Development in conjunction with Wards Civil used CRS's new underground containerised system, sealing the contaminated waste in Container before it was moved to the surface for transportation to the dump site. Working from Sun up to Sundown, this section of the project was completed on time, without injury or incident. Late 2016, CRS designed, manufactured and installed a container tippler system for Port Ventanus, South America. The system services several trains per day bringing copper concentrate to the Port from some of the largest mines in the World. 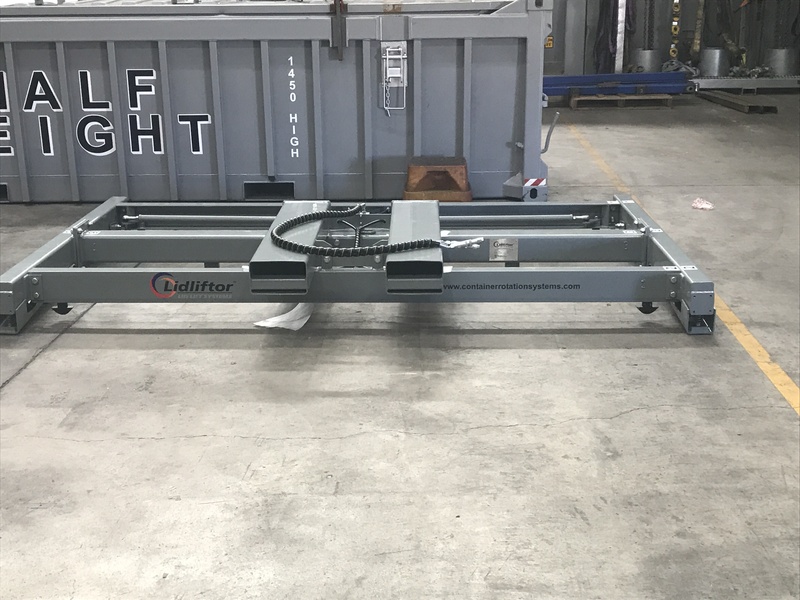 This containertippler was designed, manufactured and tested in our Wetherill Park Workshop. Once accepted by the client it was stripped down and containerised for shipping to Valparaiso then trucked to Port Ventanus. 2 Years on, 32,500 loaded rotations equates to approximately 1 Million Tonnes of Copper Concentrate being loaded by the CRS Tippler System without any lost time due to breakdowns or unavailability. This reliability was achieved by using the proven components from our Heavy Duty Rotainer H.D, a great achievement from the CRS Team. May 2018 - Global Ports, St Petersburg, Orders Rotainer® Eurospec 38 & Rotorcon® Containers. 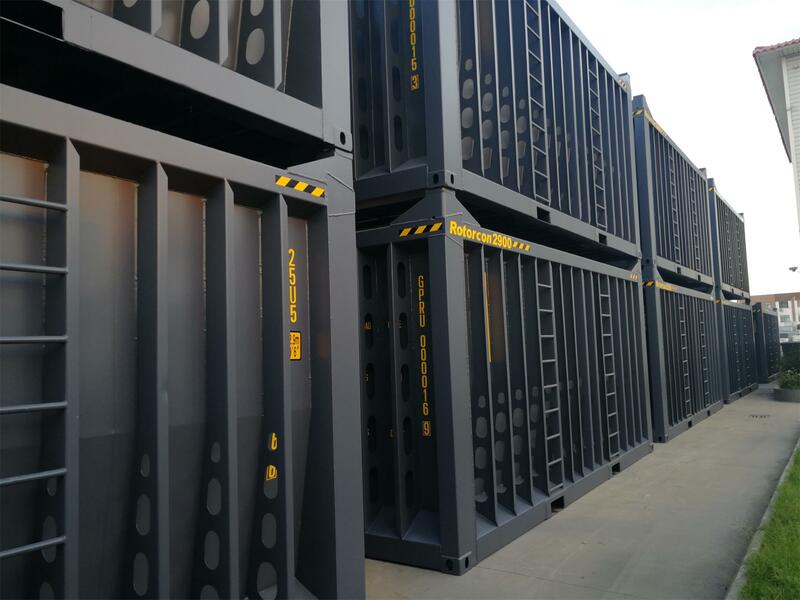 A recent order from Global Ports, St Petersburg further enhances CRS's footprint into the European Market with our Container Rotation Systems. This particular operation will be for the export of over 1 Million Tonnes per year of scrap metal. Our Patented, Rotorcon® 2900mm, extra heavy duty containers were specified for the project due to the severe conditions consistent with these types of operations. 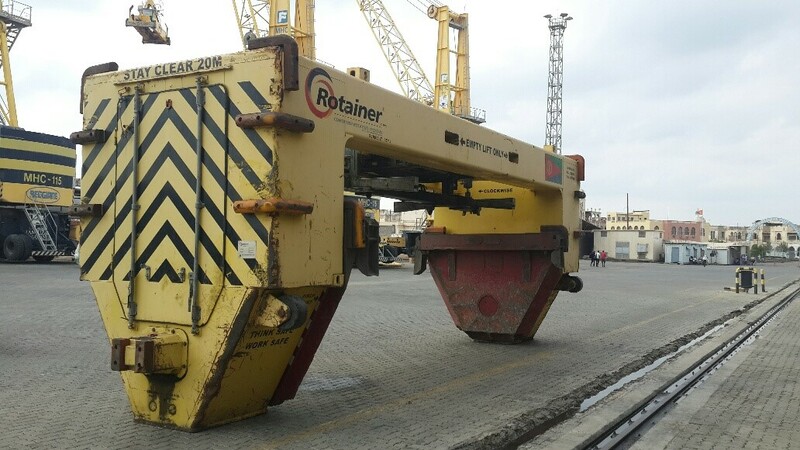 These Rotainers® will have and electric/hydraulic drive system and will be set up to operate via a wide range of port cranes. CRS's single beam technology is perfect for the European market due to the fact all of the components are fully sealed from extreme weather conditions. Multi-stage heating systems will make sure of the performance during cold operating conditions. CRS, Container Rotation Systems Pty Ltd, is delighted to have received an order from Ulst Luga Port, Russia, for a High Production, Containerised, Coal Handling System. The project will operate our newly developed Rotainer® Eurospec 38 (38,000kg WLL) set up with a fleet of our Patented Rotorcon® Heavy Duty 2900mm open top containers. Loading Coal will be via 2 Kone, High Capacity Ship to Shore Cranes. CRS also designed a special rotating head frame as part of the package. This frame will rotate 350 degrees in the horizontal plane to allow the flexibility to discharge over a wider area thus reducing the amount of long travel crane movements for loading each of the ships hold. Designing a fully rotatable 2900mm high container is no easy feat. At the onset of the development of our Container Rotation Systems, CRS with it engineers designed a new concept in open top containers. From the ground up we developed a specific range of open top containers exclusively suited for the harsh environments involved with container rotators. Our 'Rib' system is unique! It has taken may years with numerous objections to our patents by our close competitors however, CRS is please to announce that on the 22 March 2018, the Standard Patent for our Rotorcon® container was granted. 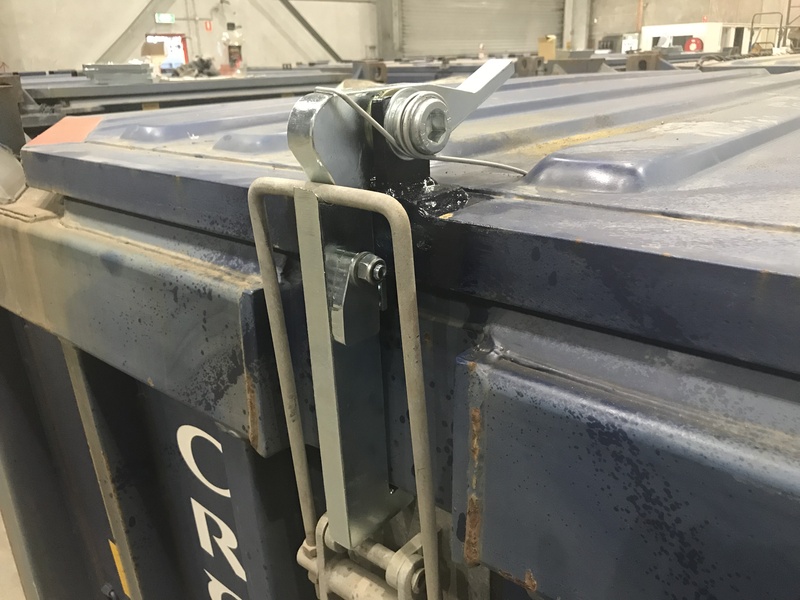 As the picture below from 'Ram In the News' clearly depicts, the inferior copies of the Rotorcon® container recently commissioned at Riga Universal Ports are already showing signs of degradation due to the poor interface with the container rotator. Quebec Stevedores Limited required a solution to replace their current ship loading methods and most importantly, reduce dust emissions whilst increasing productivity for the loading of aluminium ingots and aluminium fines using ship cranes for their client, Comalco. A Rotainer® Eurospec 32 was the solution, due to the extremes in weather conditions CRS designed a special engine warming system was to retain component heat. A fleet of Rotorcon®, heavy duty containers, 1800mm high complemented the installation. 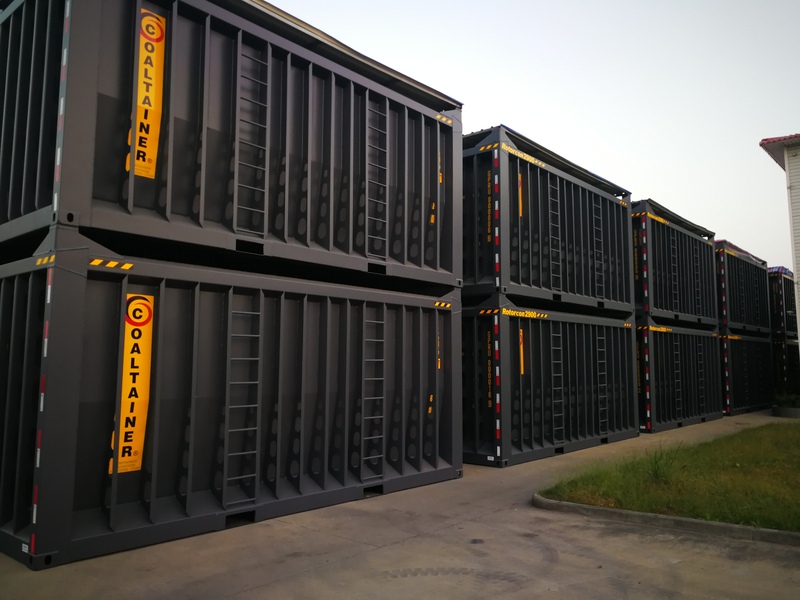 ETI Bahir, Turkey's Largest Miner required a solution for the effective removal and replacement of the lids on their existing fleet of bulk containers. Several options were offer by the original equipment suppler but in the end the CRS 'Lidliftor®' was selected as we offered a simple, low cost, light weight unit that could be air freighted easily from Australia to Turkey in a very short time frame. CRS now offer a complete Rental solutions for short to medium term applications. Our Containerised Bulk Handling Solution includes Reach Stackers, Rotainers, Remote Control Container Head frames with Lid Lifting and open Top Containers and Lid removal replacement systems. We also have Work Cover approved and certified system operators for full wet hire. If you have a special application where containerisation my be an option, container slaes@containerrotationsystems.com for further information. Now Available the Rotainer® Eurospec 32 HH (Half Heights). 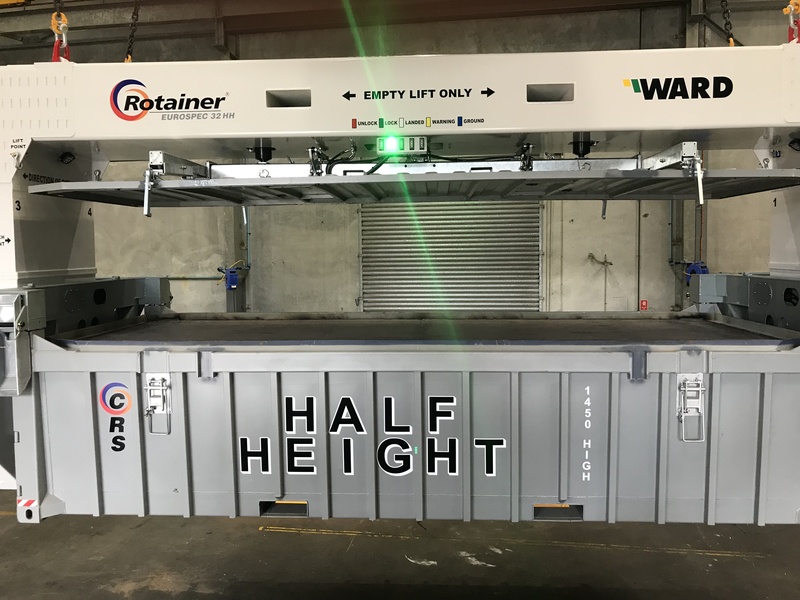 CRS, Container Rotation Systems Pty Ltd has answered the problem when it comes to automated lid lift and rotation of Generic' Half Height Containers. Our new systems fully automates lid lifting for generic 1450mm high & 1800mm high open top containers, now there is no need for specially designed, over priced open top container. CRS's new cost effective systems answers all the questions. Combined with our new, simple lid lock mechanism that allow complete lid sealing with ability to stack several lids on top of each other. 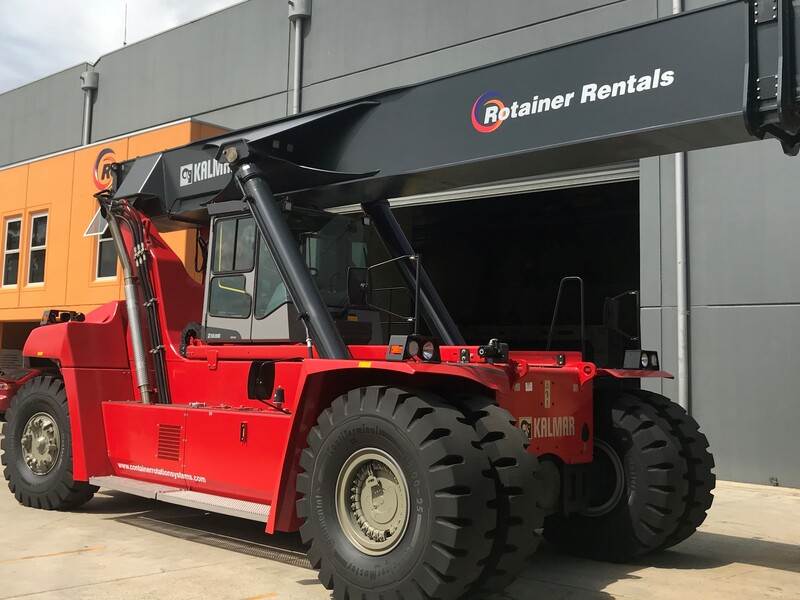 One of Taiwan's Premier Stevedoring Companies, Chien Shing has taken delivery of the a Rotainer® R.S System. 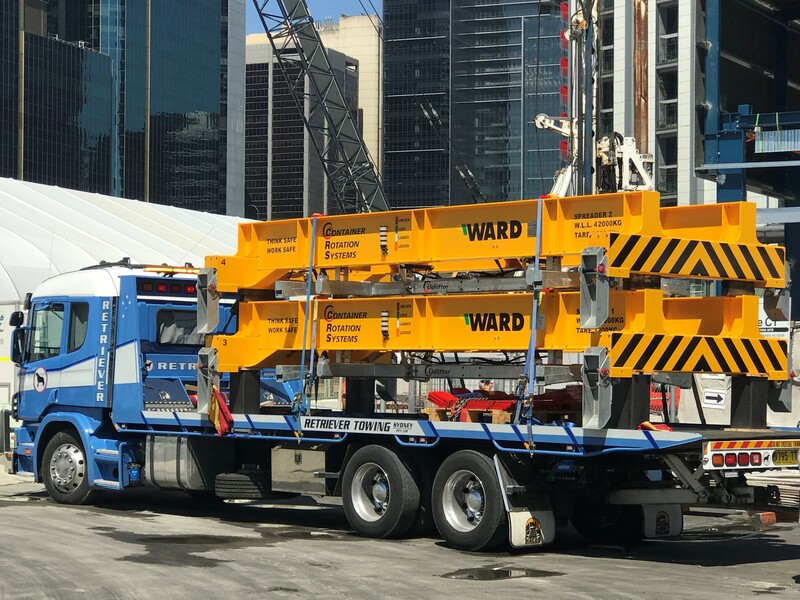 The R.S is a heavy duty 38,000kg system that can quickly work between STS Cranes (Ship to Shore), MHC (Mobile Harbour Cranes) Ships Cranes and Reach Stackers. To maximised productivity a CRS Ezzeloadore® system and a fleet of CRS's Multibulker® Containers were included in the order. The Multibulker® Container is fully certified for Rotation and End Tipping which makes this container very versatile.